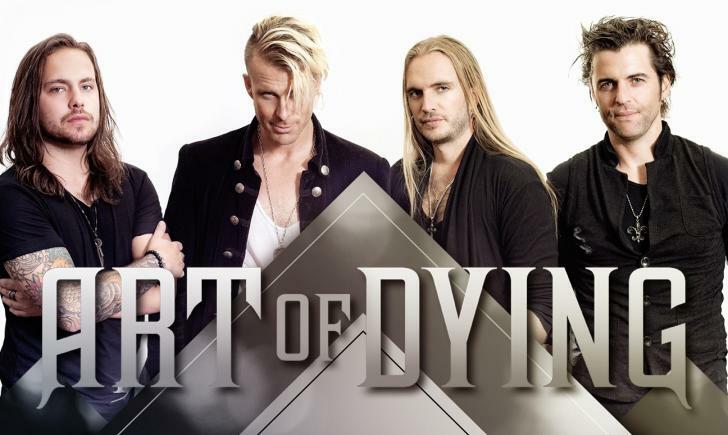 Art of Dying: Jonny Hetherington (Vocals), Tavis Stanley (Guitar), Cale Gontier (Bass), and Cody Watkins (Drums) is one of those bands that has not only broken out but has grabbed the music scene by the balls. The Vancouver Hard Rock band has been hard at it, touring and putting out music non-stop, including a new video release for the song “Torn Down”. So, how did Art Of Dying manage to make a video during their busy 2016 tour? While on the road, they brought along director Davo Paul. The footage includes on and off stage tour life of the band. Art Of Dying is giving fans a chance to be part of the new full-length album, which is scheduled to drop in 2017. So how can you be part of Art of Dying music? Check out their Pledge Music page. You can pre-order the CD, get updates, and donate to get extras from the band. The band will also be performing at ShipRocked, “The Greatest Vacation On Earth”, happening January 16th – 20th 2017. Rockwell UnScene will be there getting behind-the-scenes coverage and interviews with some of the biggest names in Rock/Metal. Stay tuned!